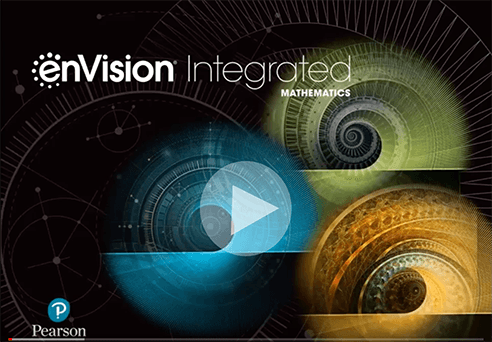 enVision Integrated Mathematics ©2019 is a comprehensive high school mathematics curriculum built from the ground up to meet today’s standards. Get unparalleled support to maximize student learning and personalize instruction for all students. With the embedded interactives powered by Desmos and mathematical modeling in 3 acts, students have unique support to learn math concepts. Teach conceptual understanding, procedural fluency, and skills applications. Use print, digital, or blended learning experiences. Access content, resources, productivity tools, and student data from Pearson Realize. Everything is fully customizable and easy to use. What makes enVision Integrated integrated?